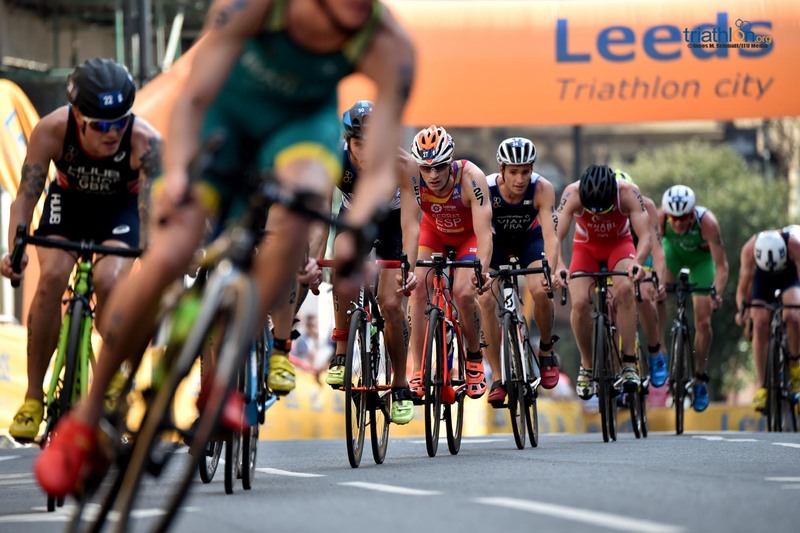 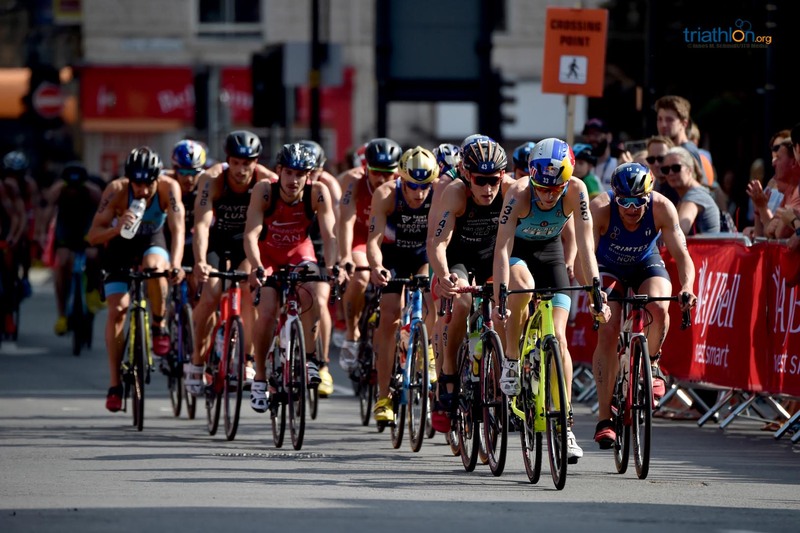 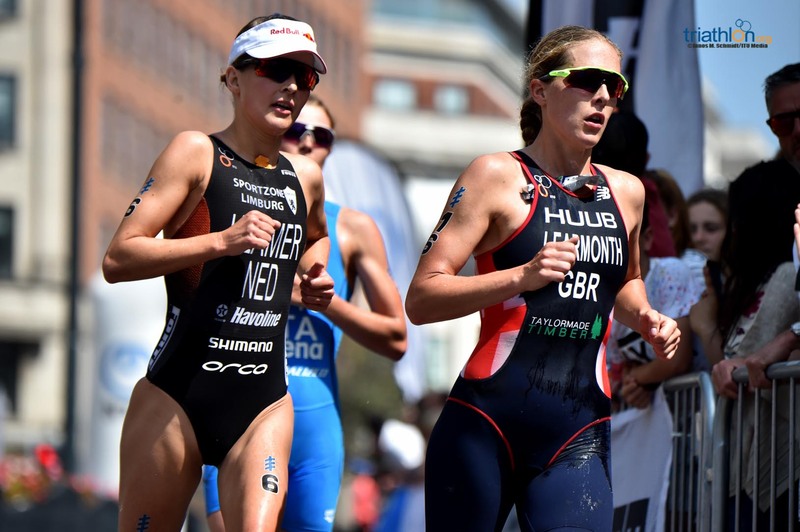 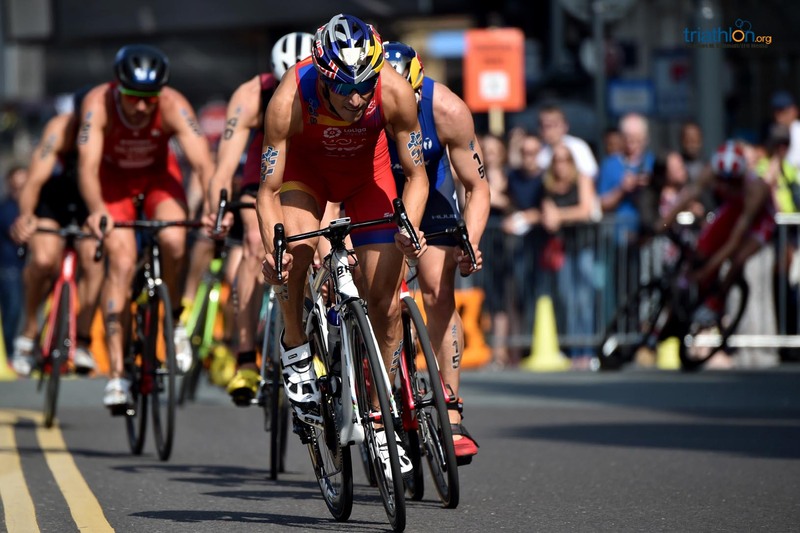 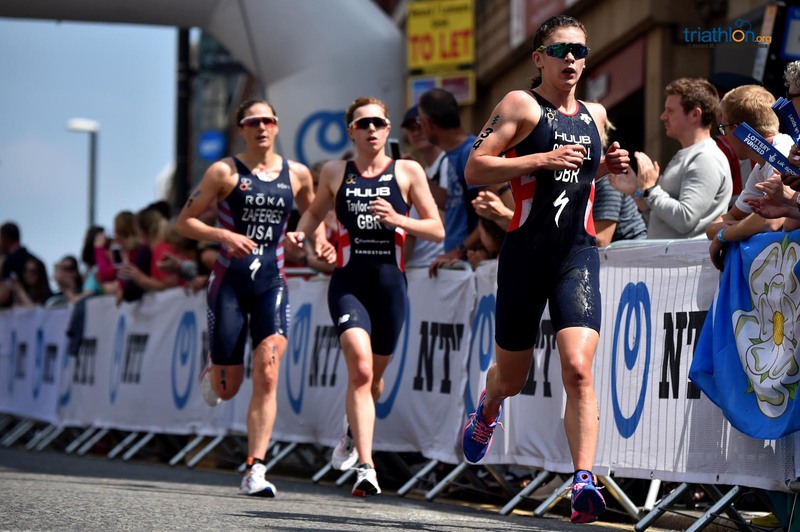 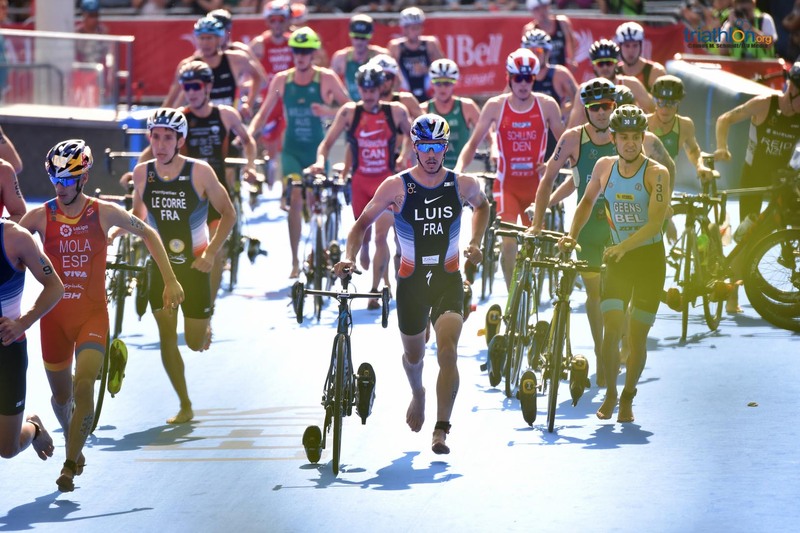 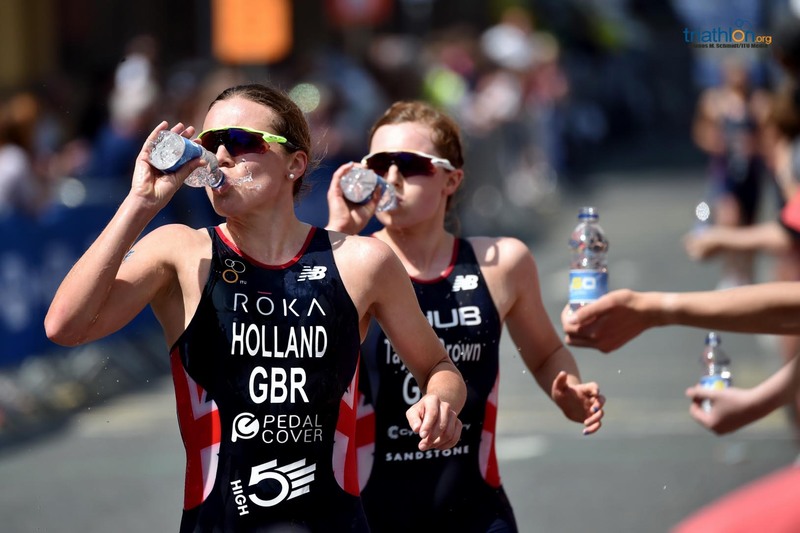 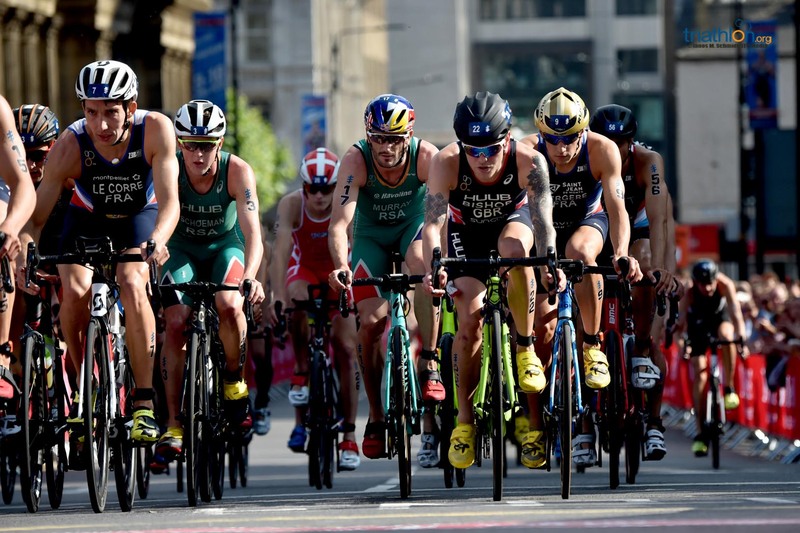 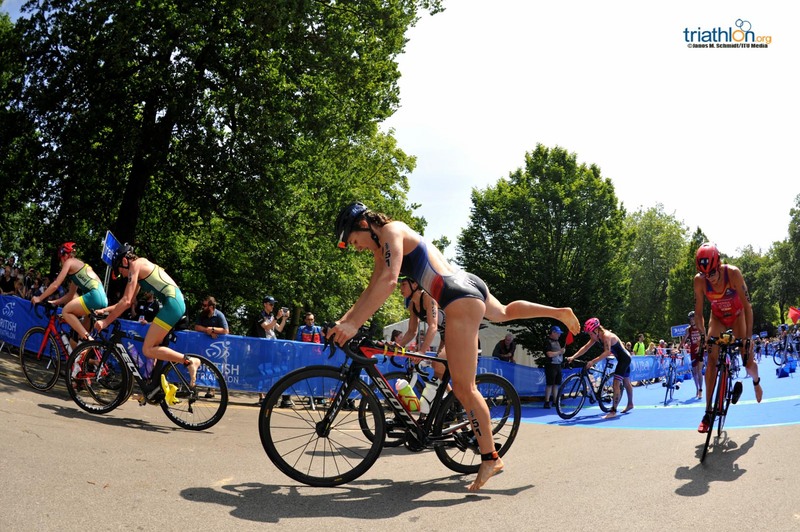 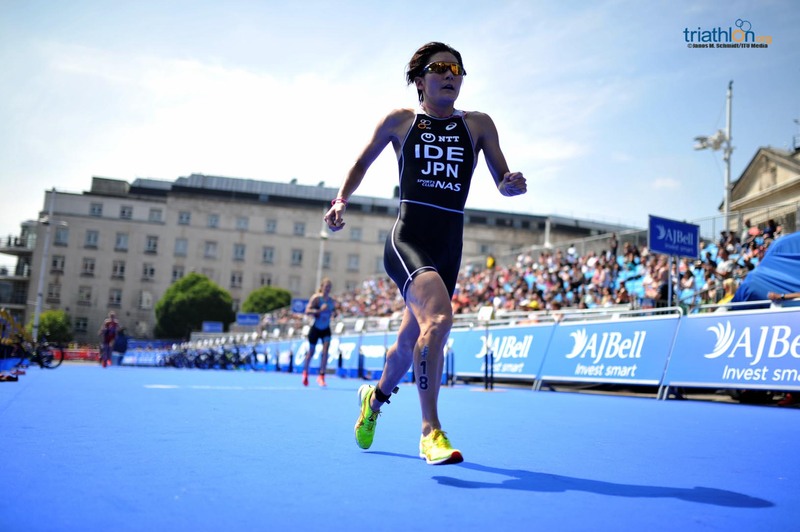 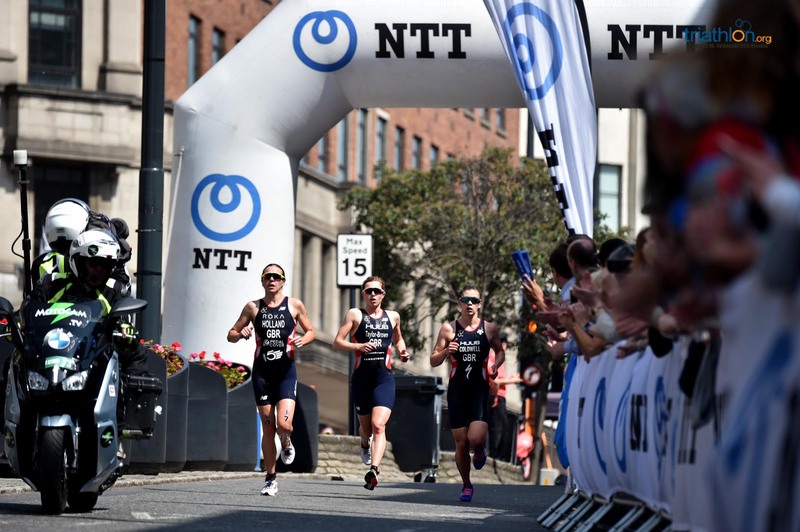 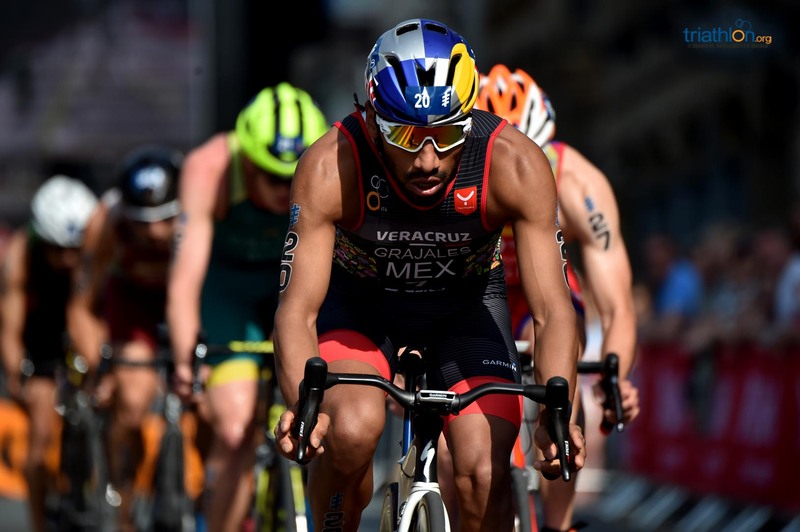 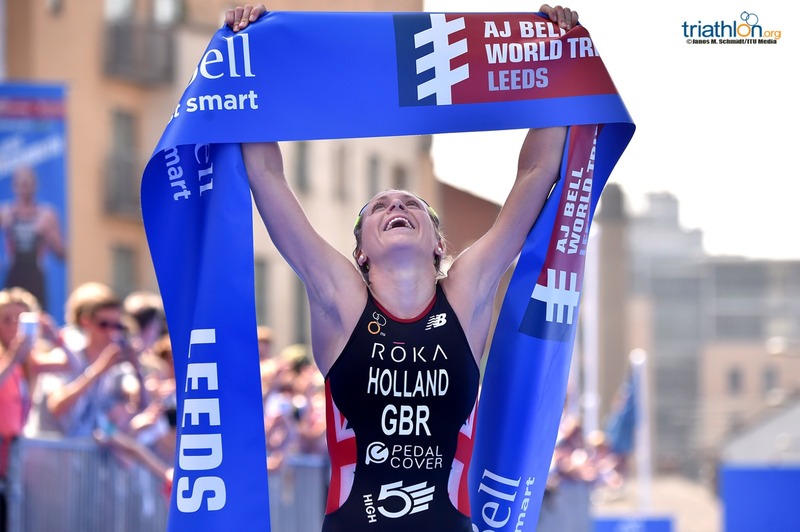 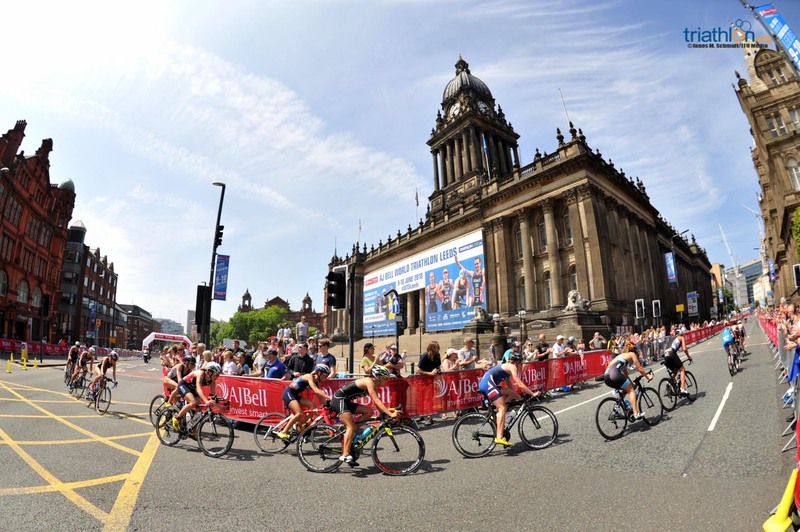 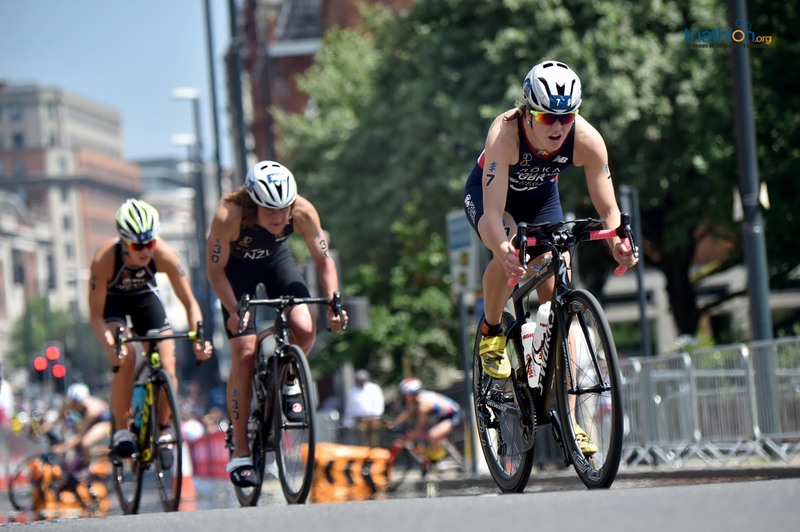 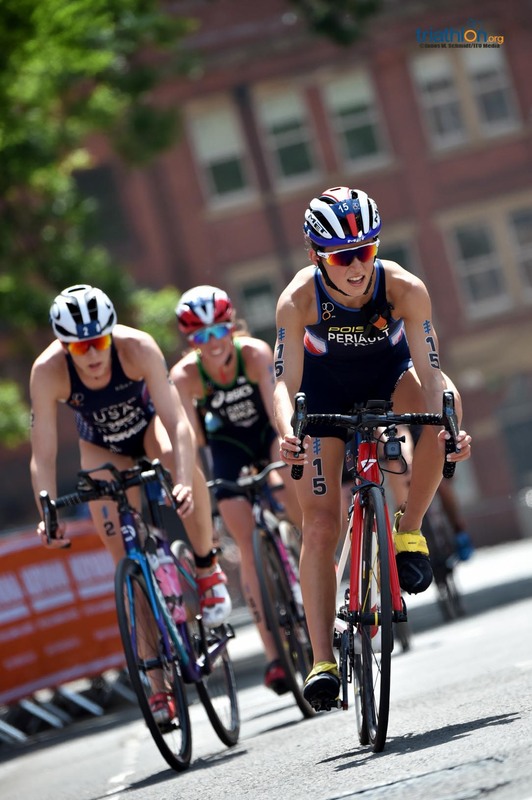 Sunday afternoon in the sun-kissed city of Leeds saw Vicky Holland of Great Britain deliver one of the performances of her career to earn a tough third WTS gold in front of a delirious crowd of 70,000 fans. 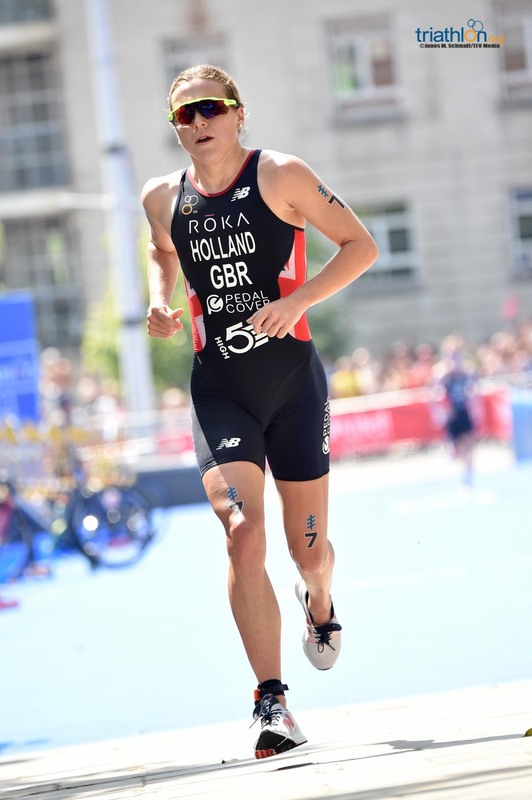 The win caps a strong first half of the year for Holland, who finished second in Bermuda and fourth in the Commonwealth Games. 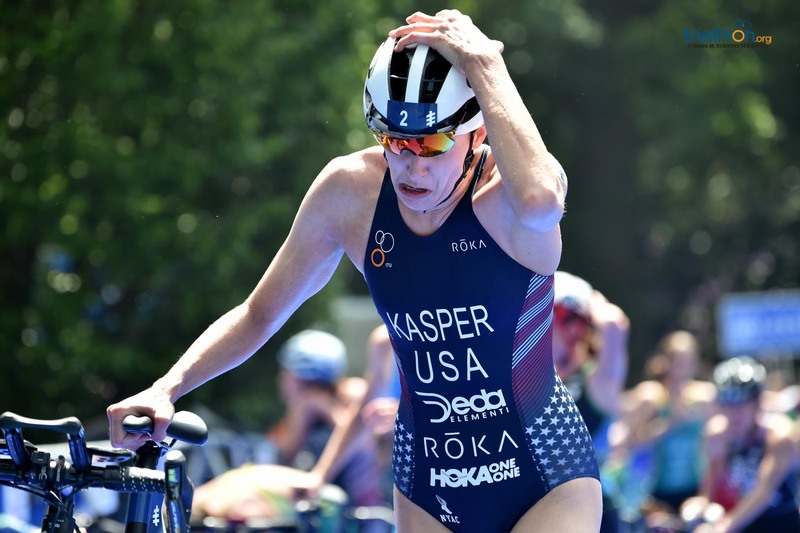 Teammate Georgia Taylor-Browne came home second to secure a first ever World Series podium, with USA’s Katie Zaferes finishing third. 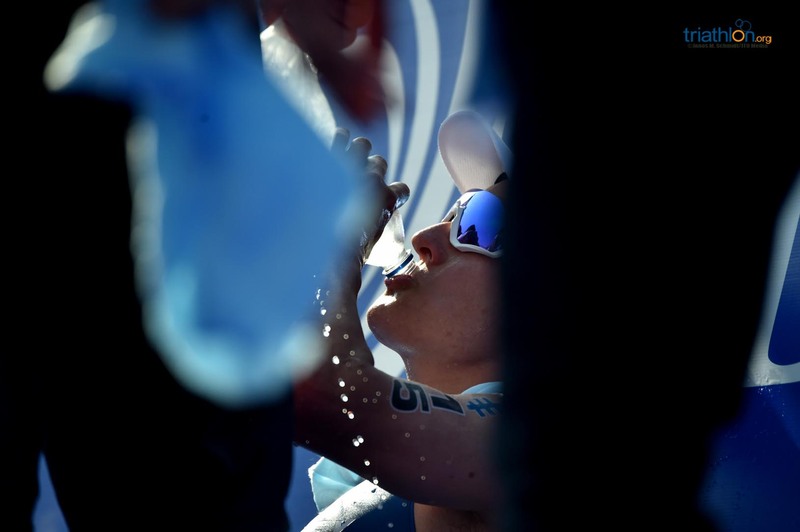 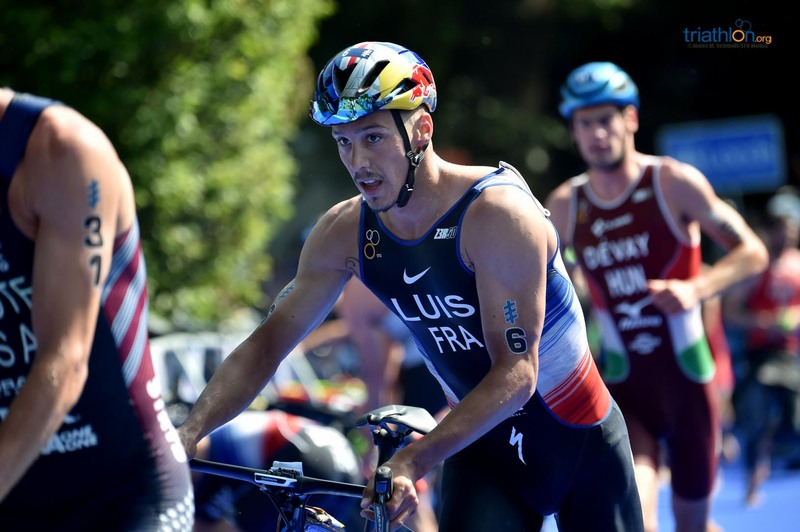 “That was the toughest podium so far for me. 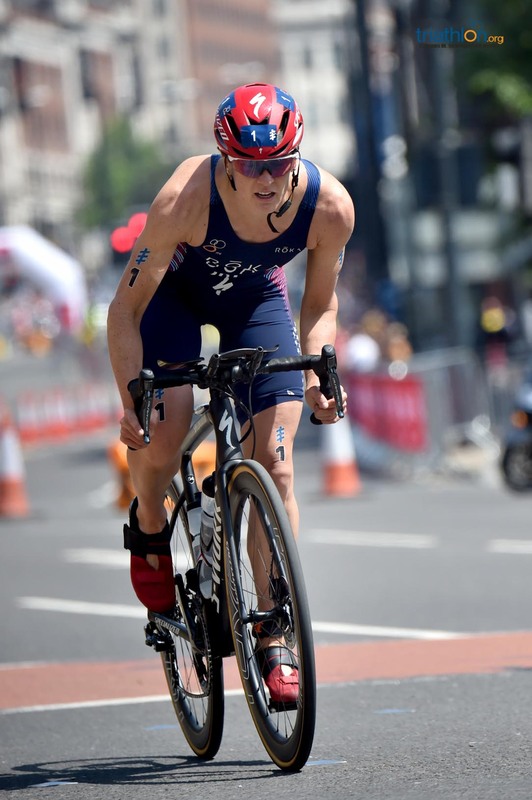 It was a yo-yo of a race and I don’t really know how but I managed to end up on top,” said Holland after her first WTS win since 2015. 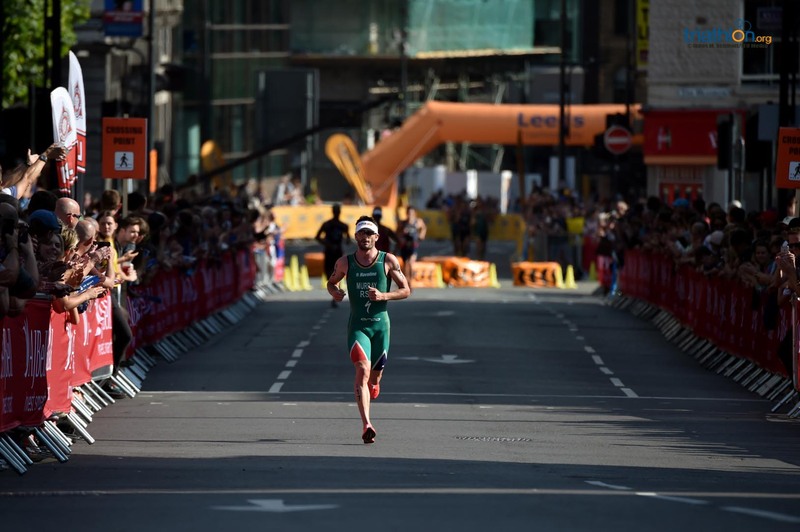 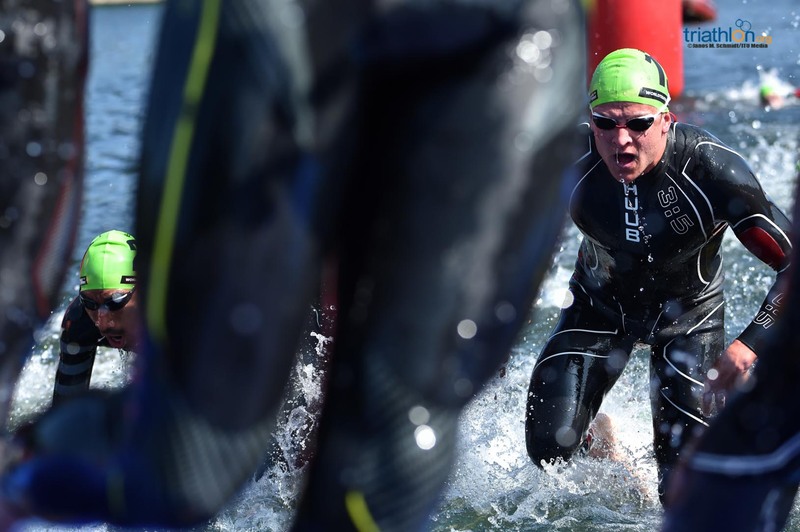 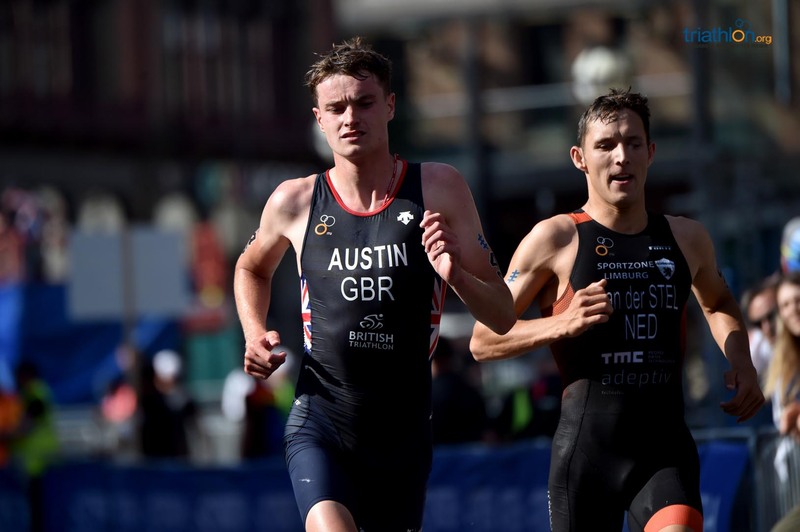 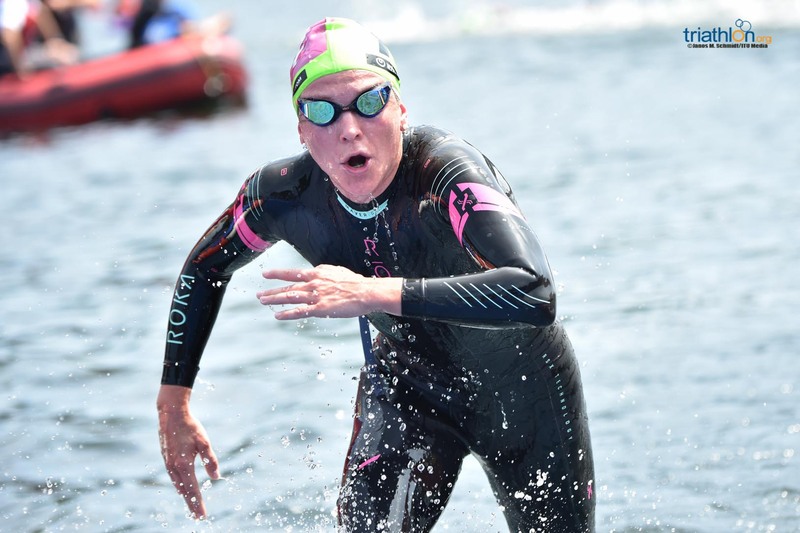 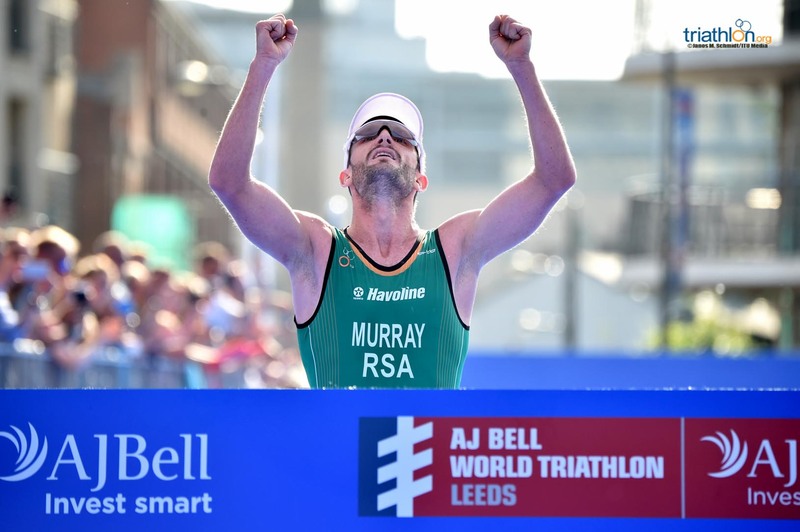 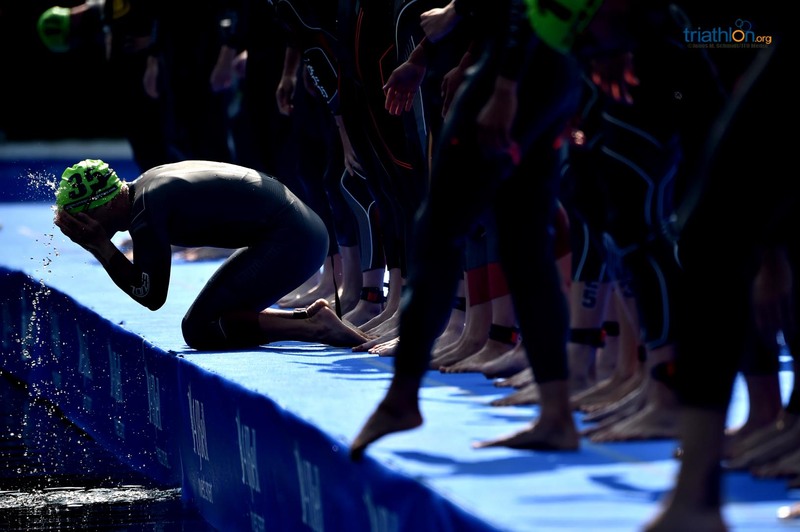 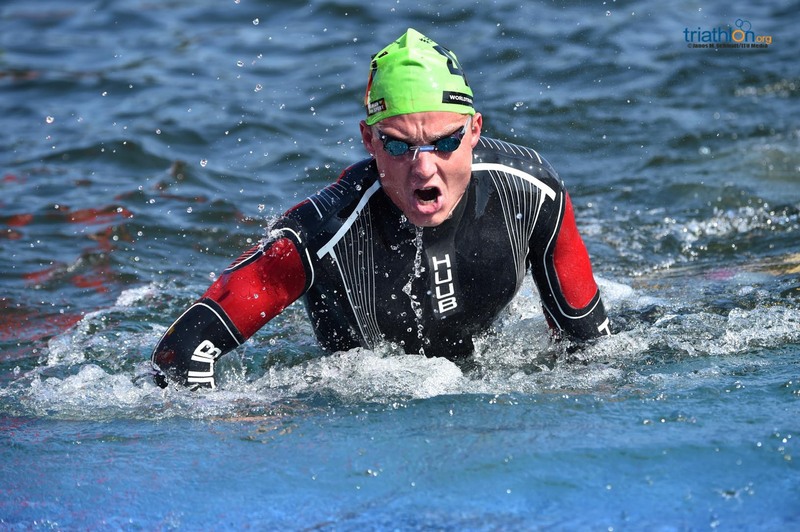 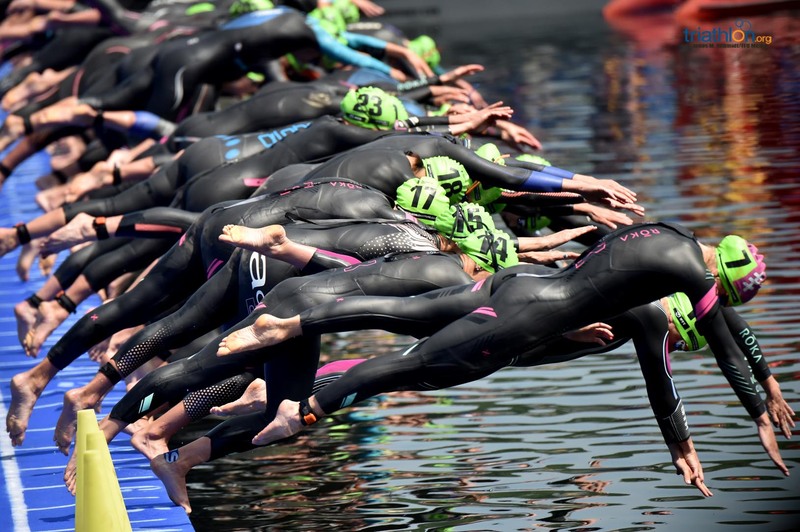 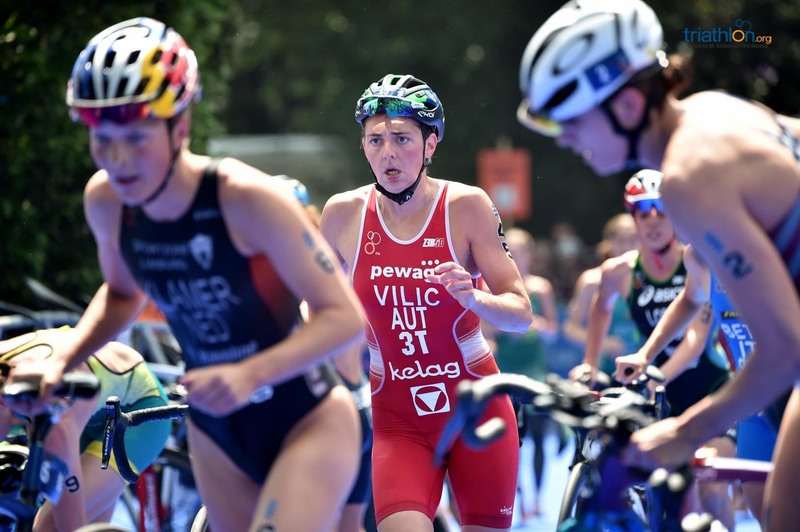 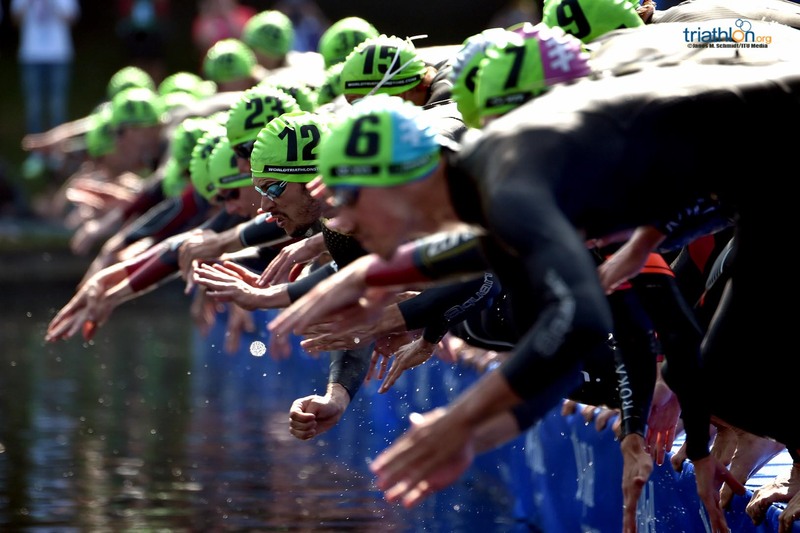 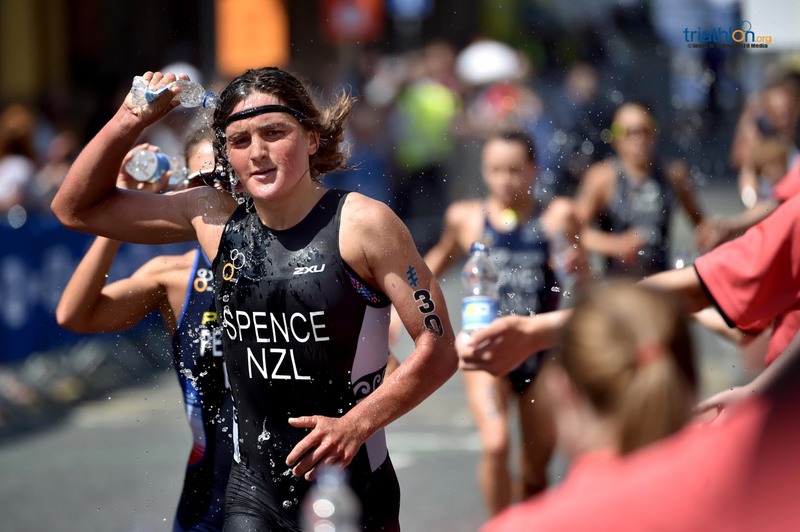 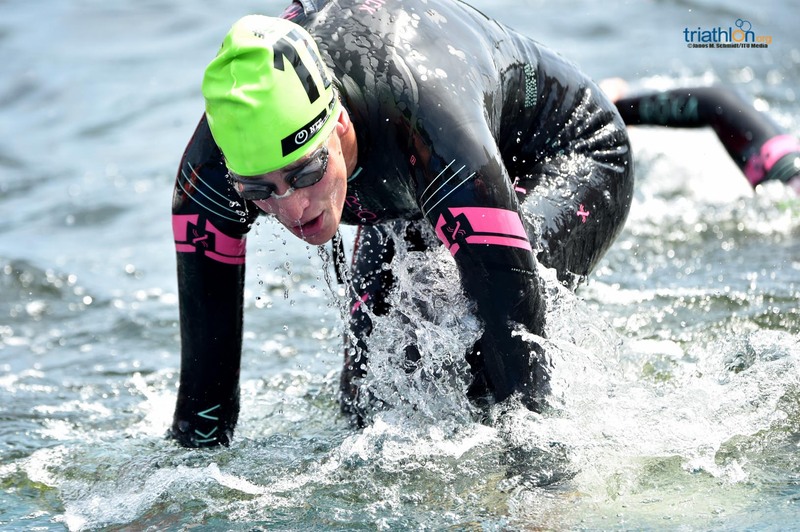 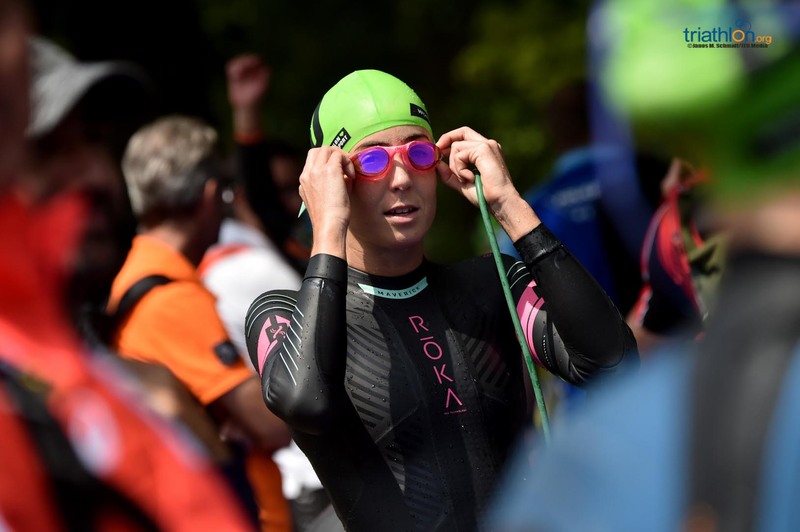 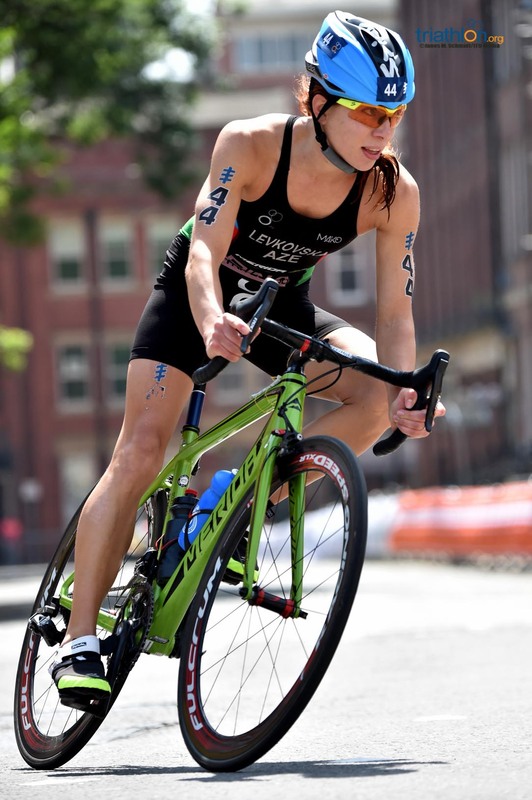 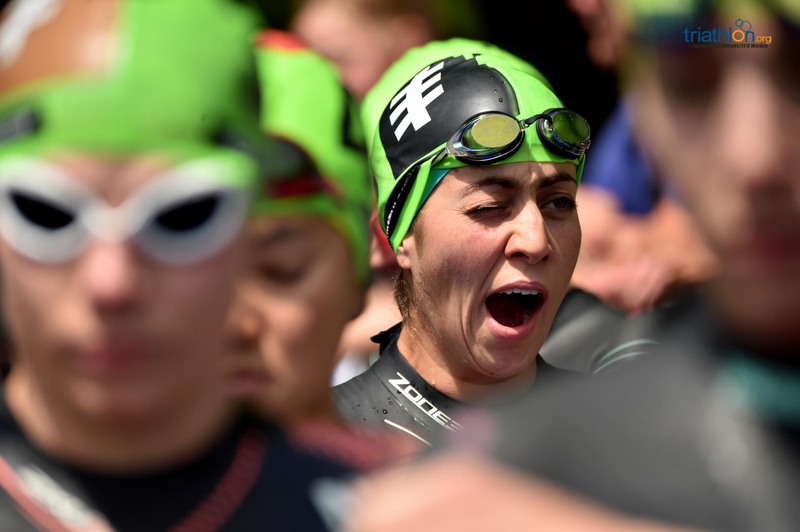 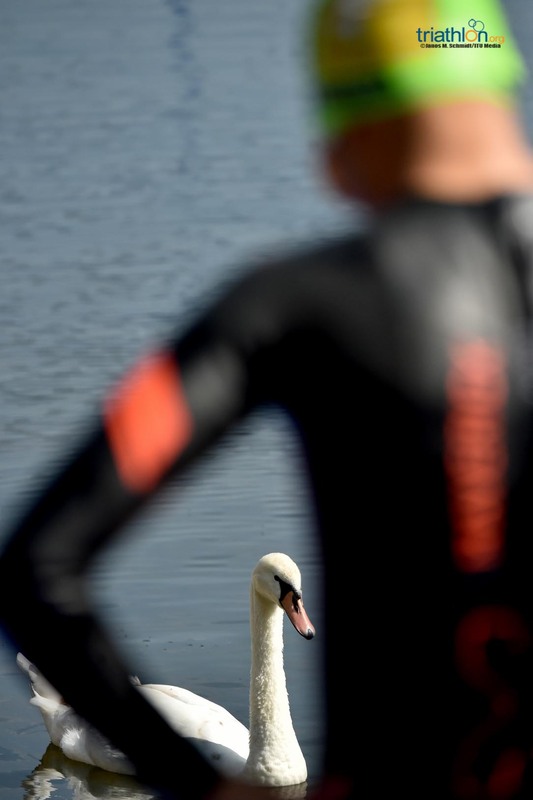 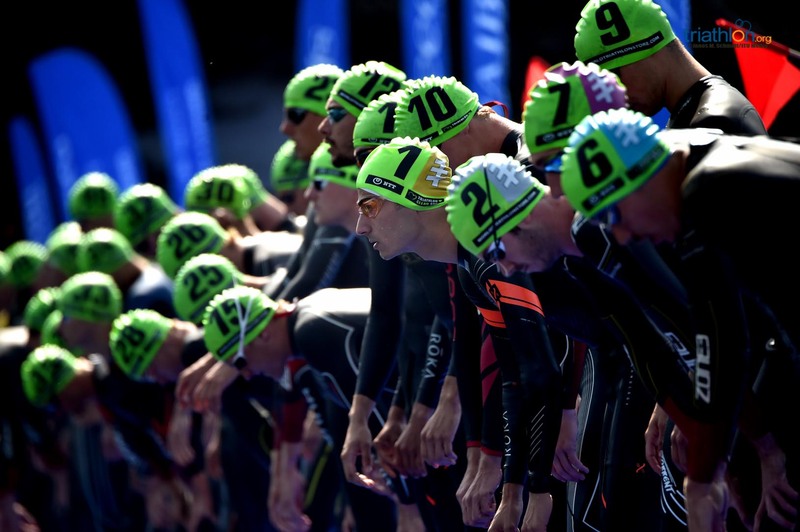 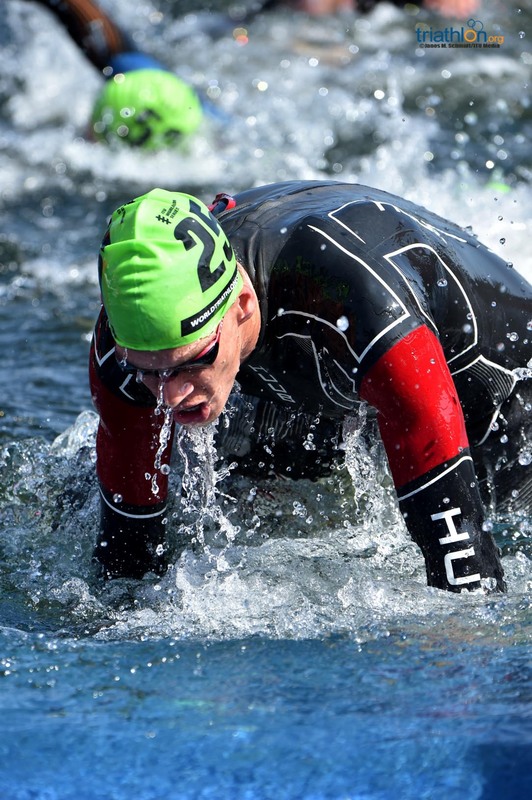 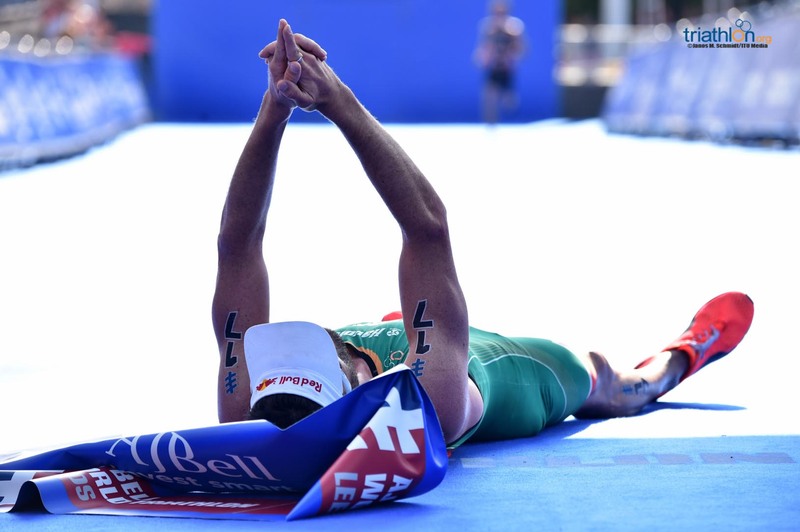 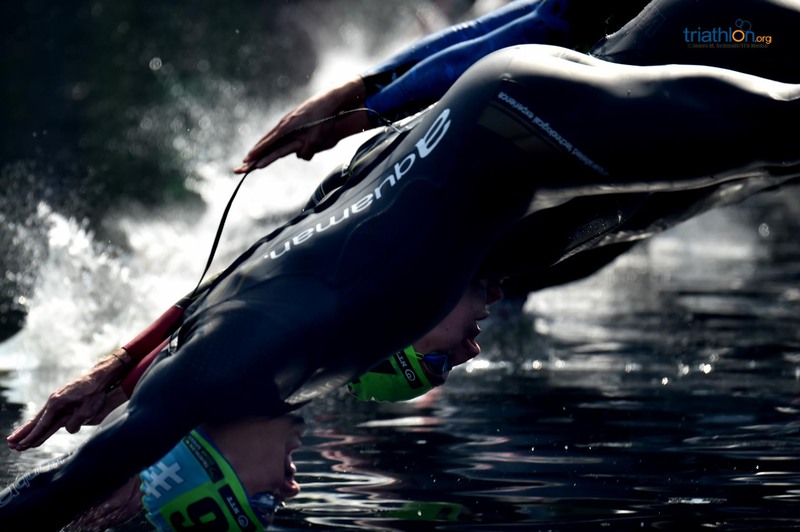 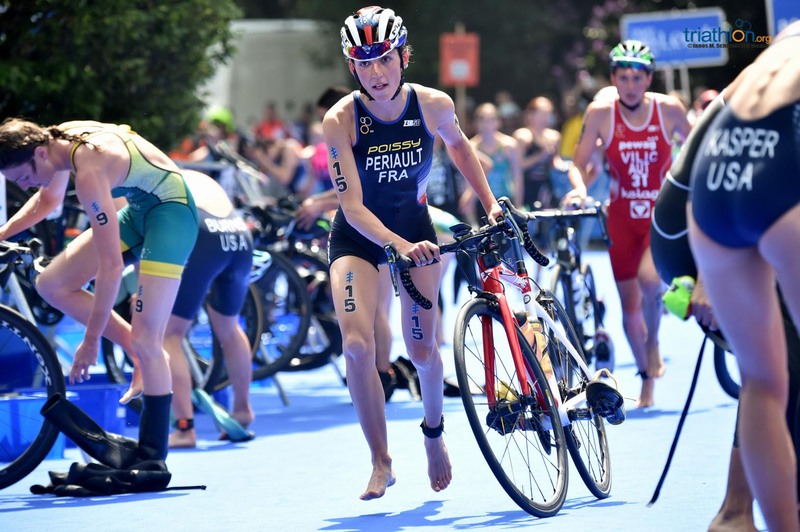 With no Flora Duffy in the starting line-up in the 2018 AJ Bell World Triathlon Leeds the opportunity was there for the likes of race number-one Katie Zaferes to seize the reigns, and it looked like she would do exactly that after an excellent swim saw the American exit just behind GB’s Jessica Learmonth. 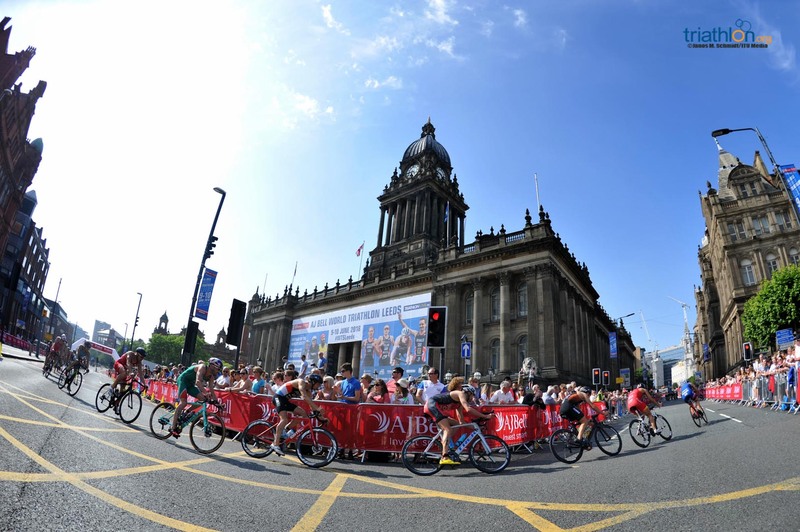 Right there too were USA’s Taylor Spivey and Summer Cook, as a small lead group began the long point-to-point through the Leeds countryside and back into the city centre. 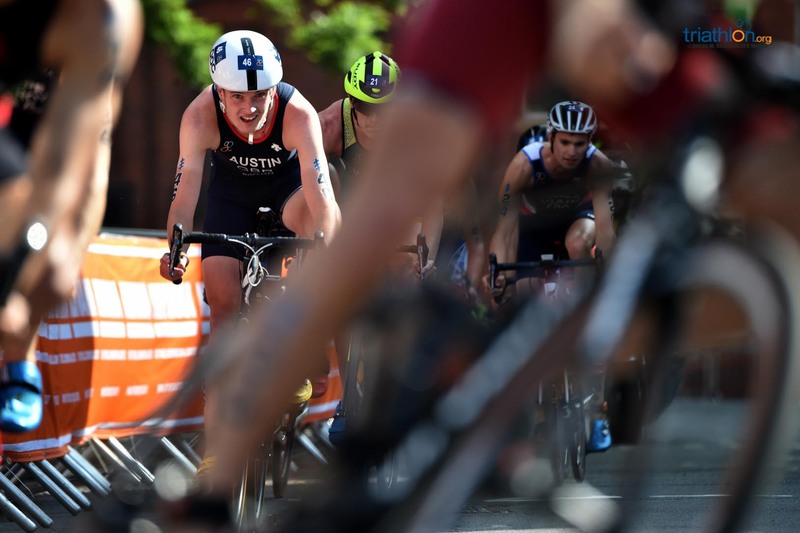 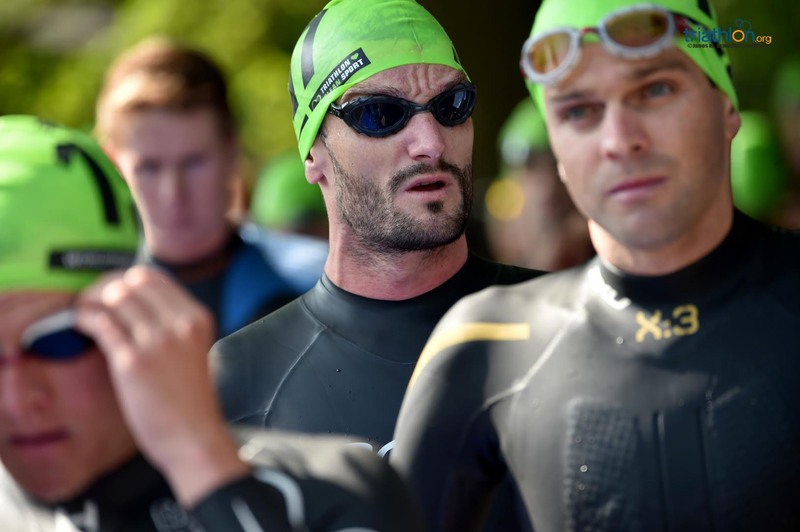 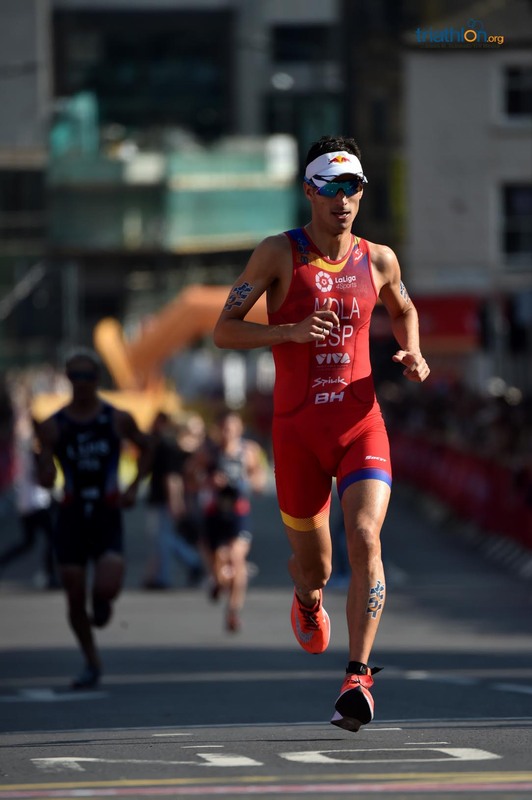 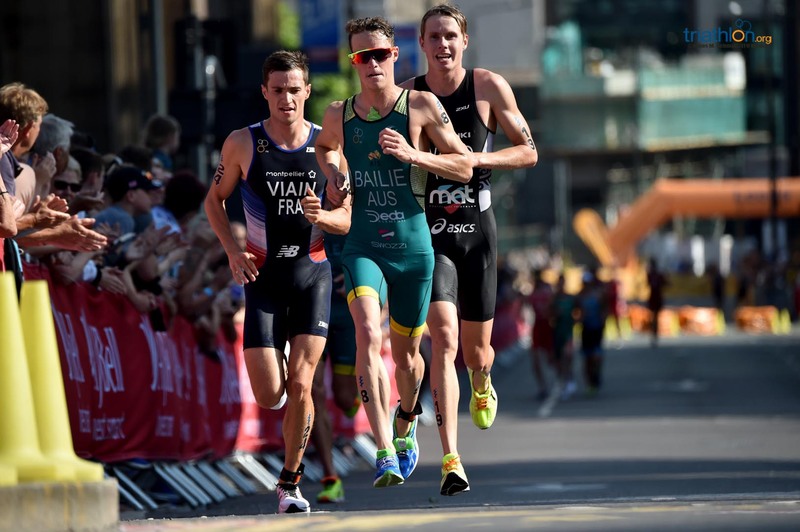 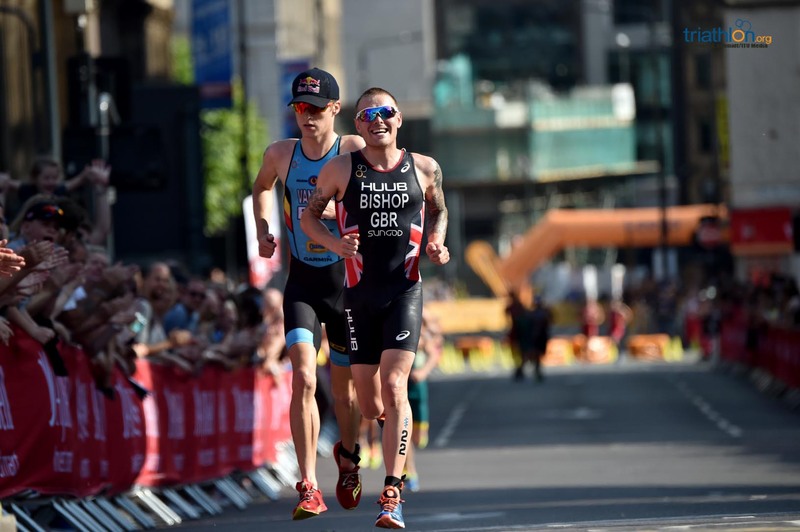 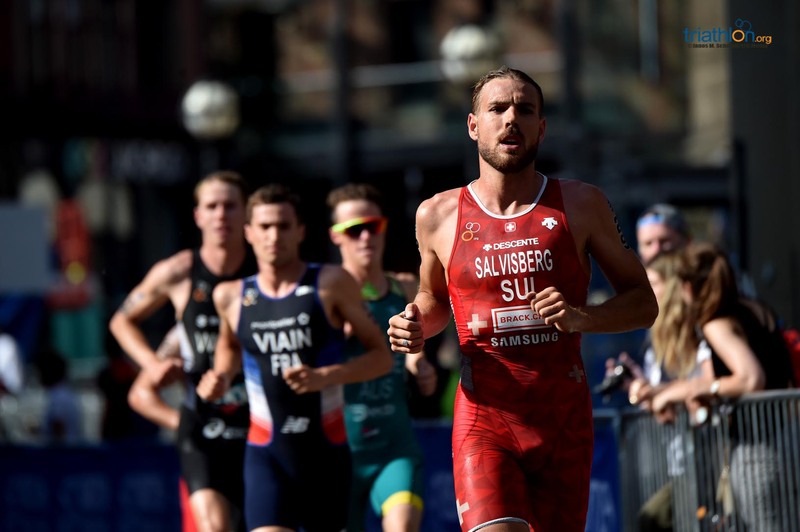 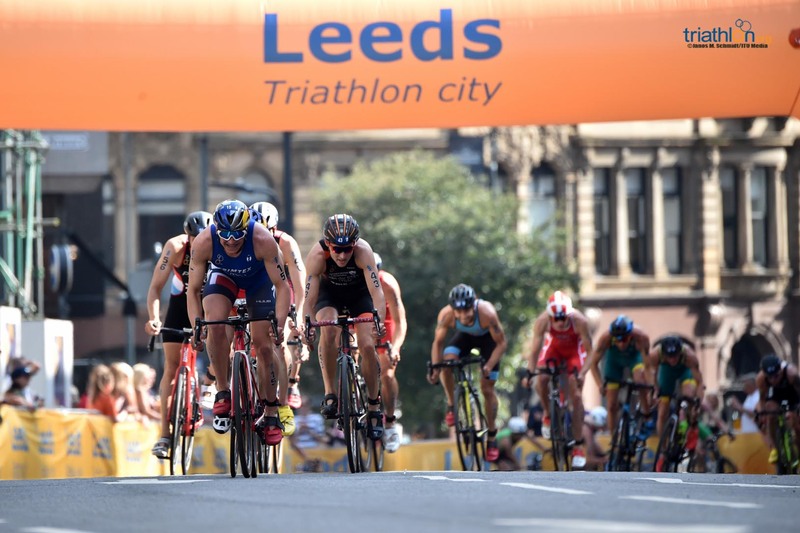 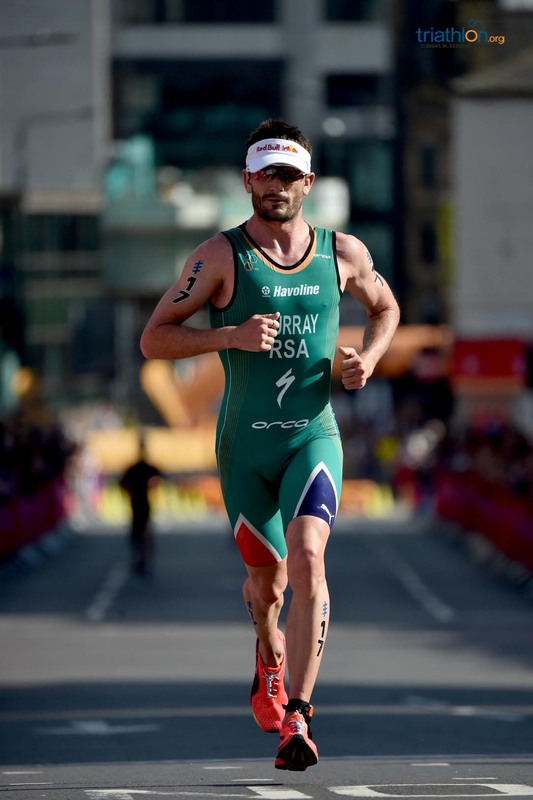 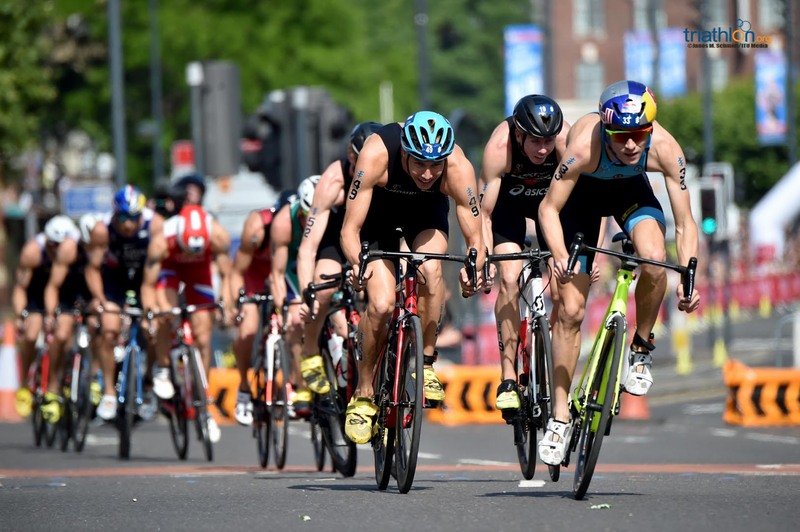 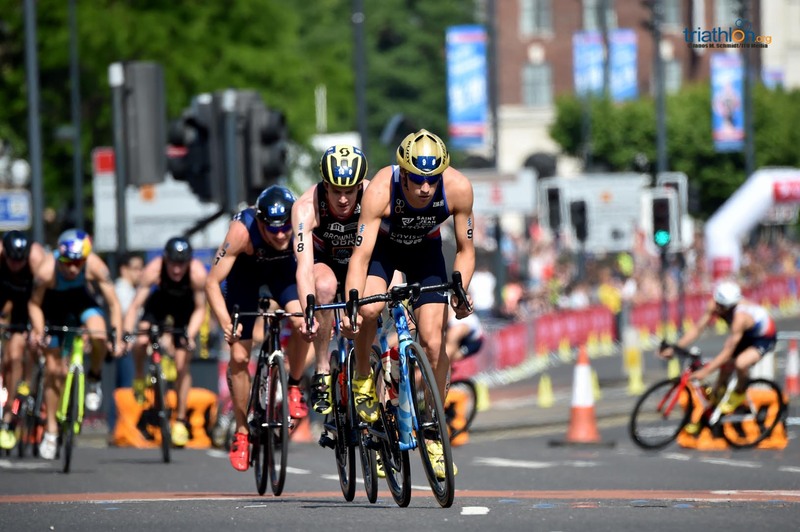 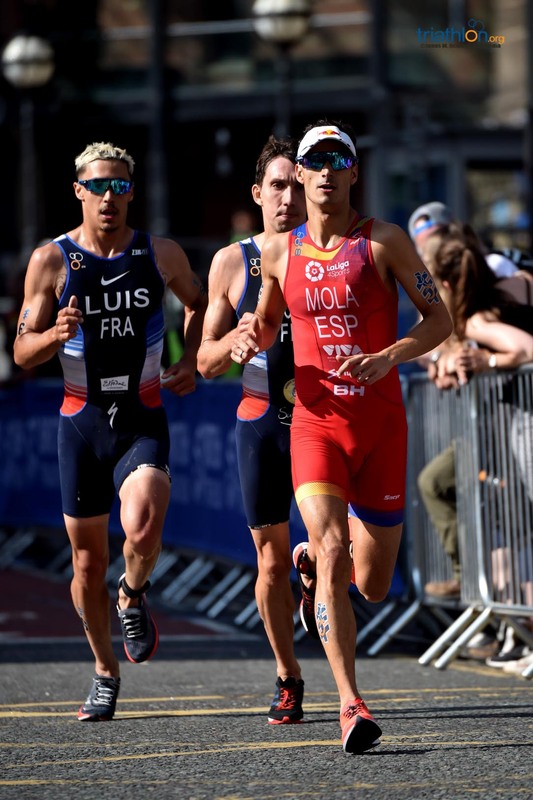 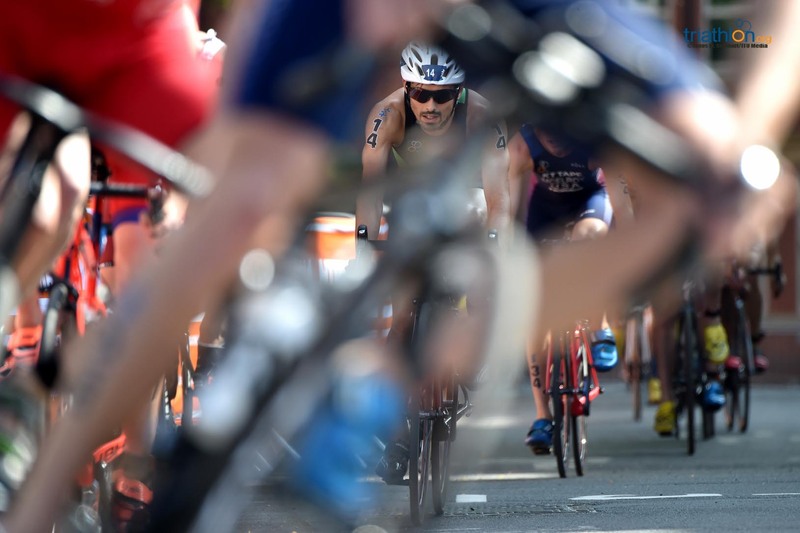 The trio of Zaferes, Learmonth and Spivey then threatened to develop a more sizeable advantage as they hit the fastest part of the course down into Headingley, with a 51-second window opened between them and the chase pack. 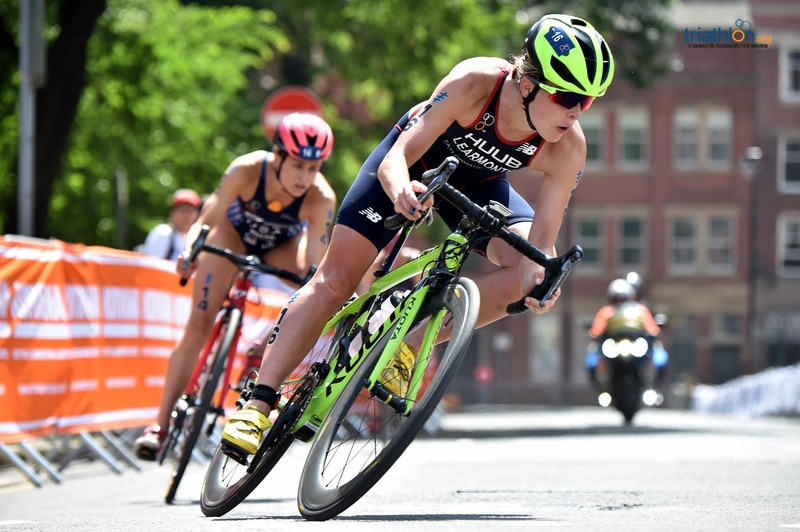 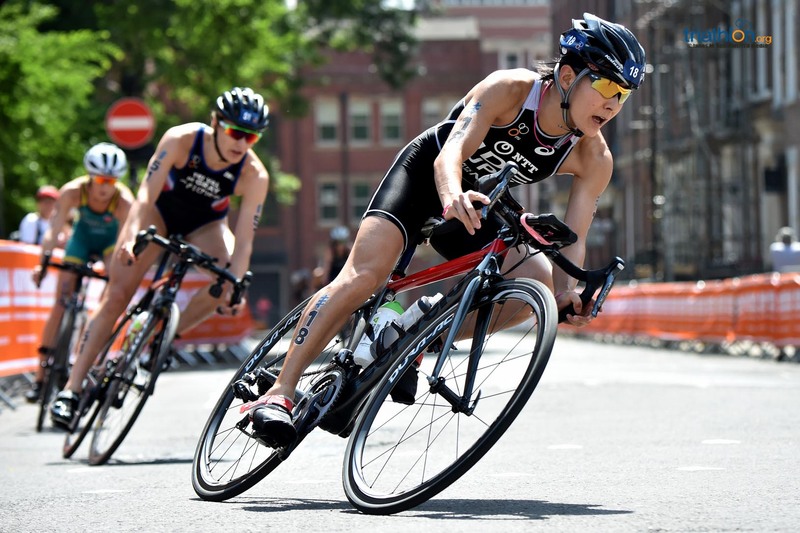 The likes of Rachel Klamer and Italy’s Alice Betto were going well at the head of that large group which Summer Cook had by now fallen to the back of. 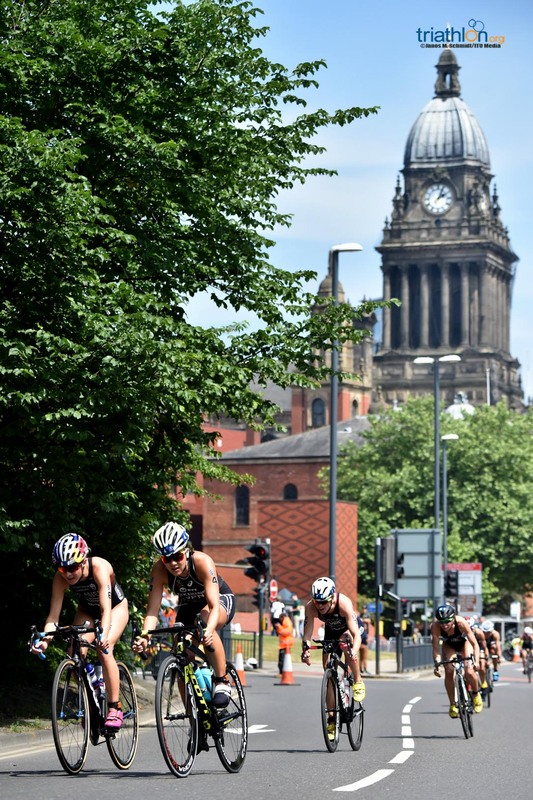 As the riders headed into the technical twists and turns of the 7-lap city course, it began to look like Zaferes might struggle to keep up with Learmonth in her first taste of the challenging Leeds course, while the Brit, who already finished in the top 10 twice here, knew its eccentricities well and had the crowd right with her. 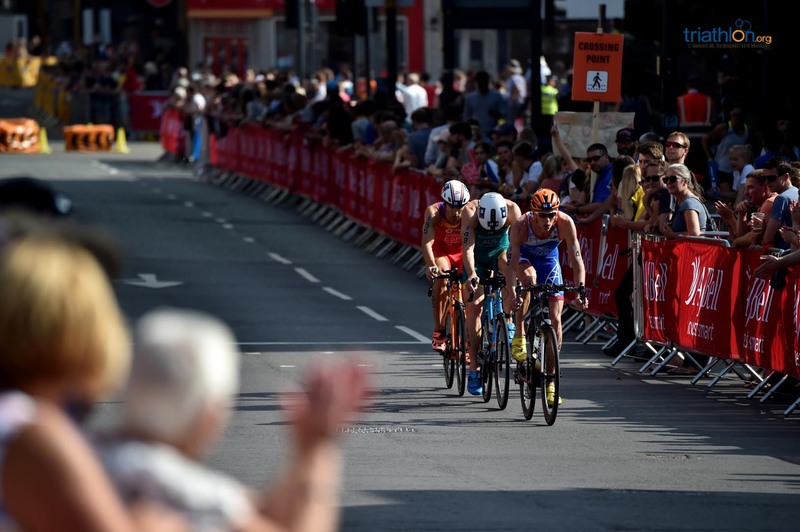 The effort had clearly taken a toll on the leaders, however, and with two laps to go the pack began to draw ever closer, before T2 eventually saw a swarm of athletes pour through together, led out by GB’s Sophie Coldwell and Georgia Taylor-Brown. 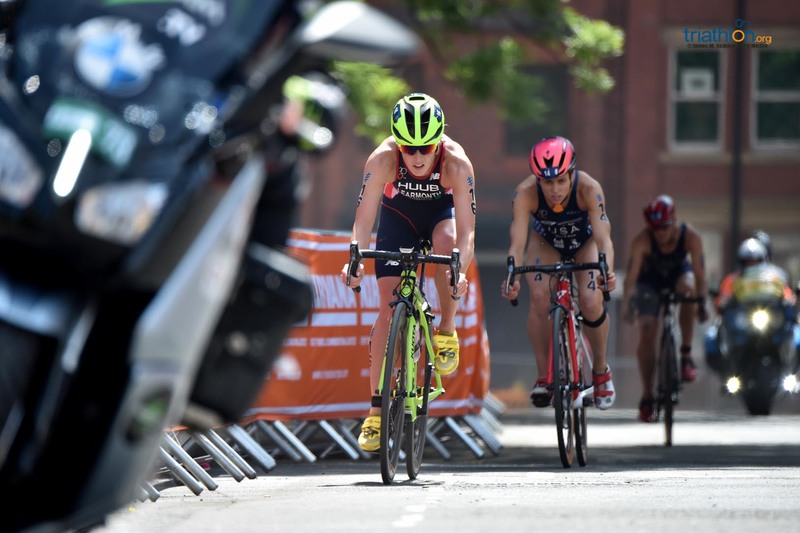 The runners then became more spread out, Coldwell taking the initiative and pushing Katie Zaferes hard, but after the first of four laps it was Vicky Holland who began to close in. 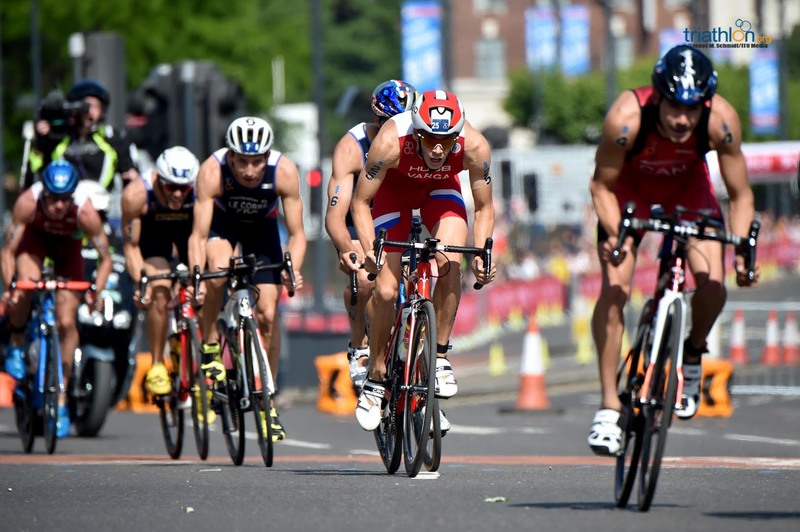 Holland then led at the halfway stage and opened up a six-second gap from Taylor-Brown as the American again fell back. 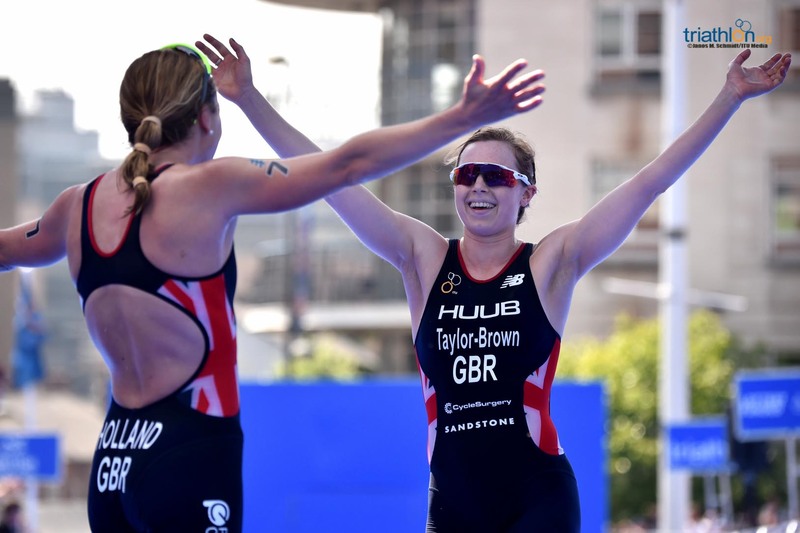 By the end of the fourth and final lap, Holland was able to relax and soak up the crowd’s adoration, celebrating a GB one-two as Taylor-Brown crossed the line before a gutsy third place for Katie Zaferes saw her finish the day as Series leader. 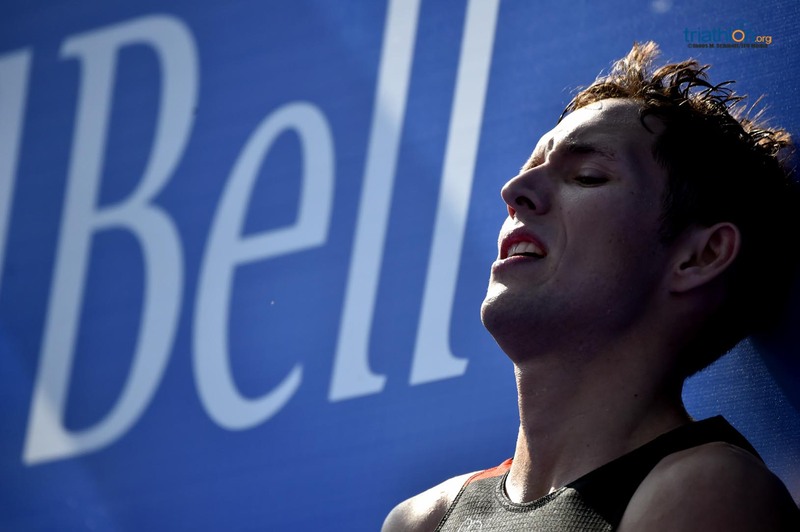 “That was amazing. 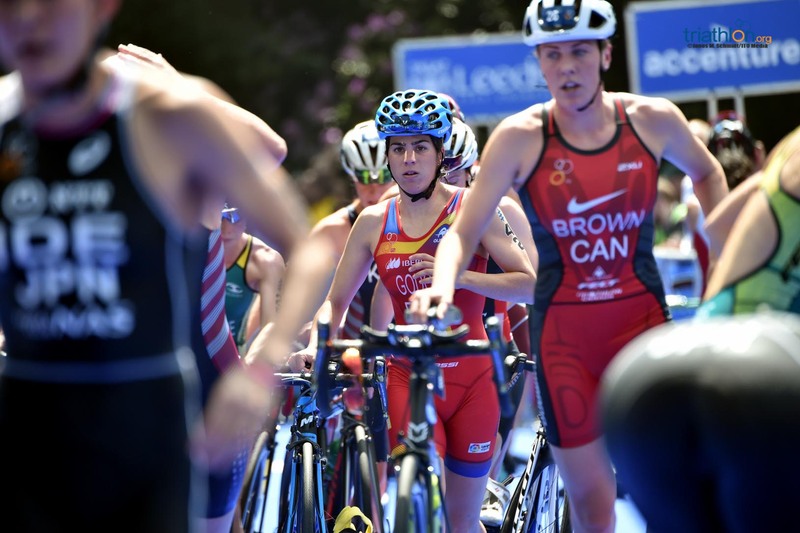 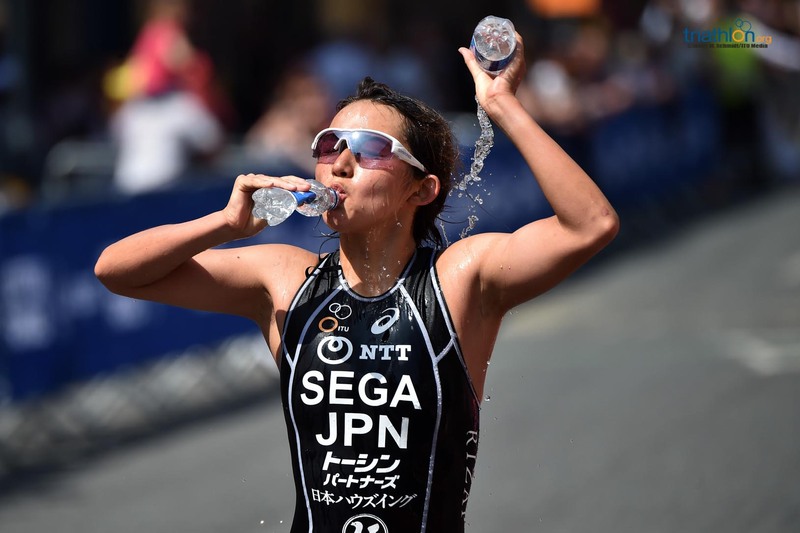 So tough, but the crowd was amazing and I just wanted to do well for them,” said Georgia Taylor-Brown of her first WTS podium. 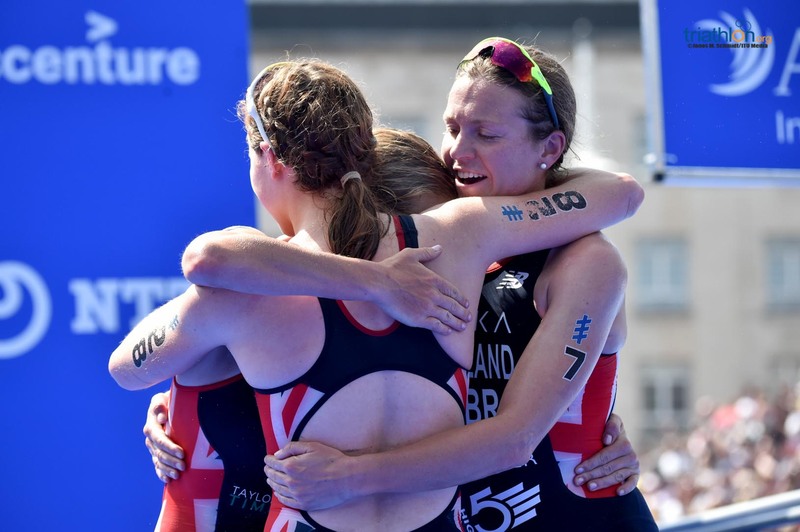 “We worked really well as a team today and Jodie was amazing. 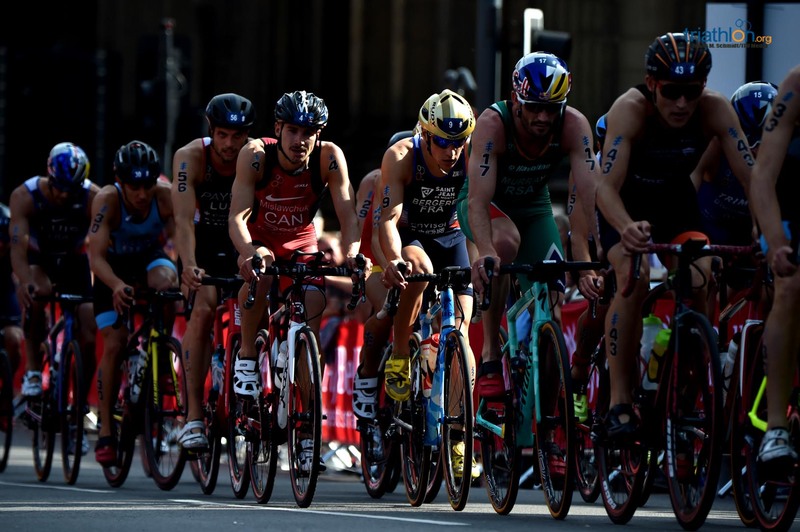 I didn’t think we’d catch the chase group in town but we worked really well and rode smoothly.